No visit to San Francisco would be complete without getting to the infamous Alcatraz Island in San Francisco Bay. I won't regurgitate all the history of the place as it's well documented elsewhere. Having served as a maximum security, practically "escape-proof", prison from the days of prohibition and the great depression through to its decommissioning in the 1960s, it's now a major tourist draw. 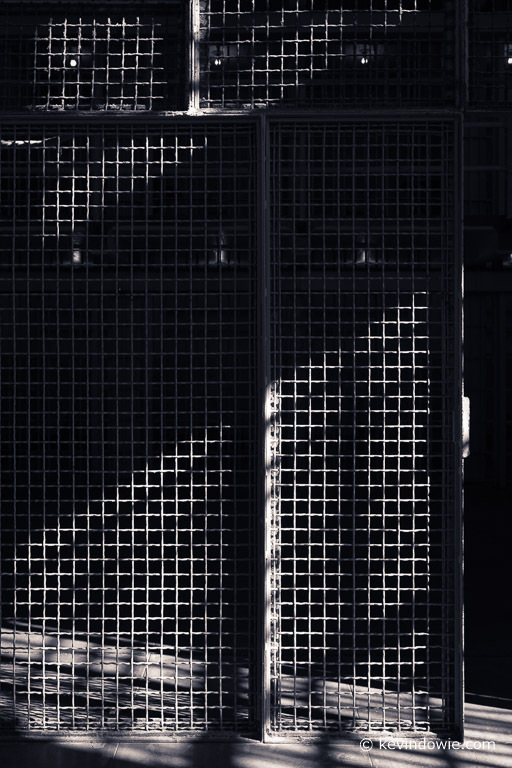 Caged.... rigid lines, cold forbidding shadows and the tantalizing light of the outside world. Alcatraz.